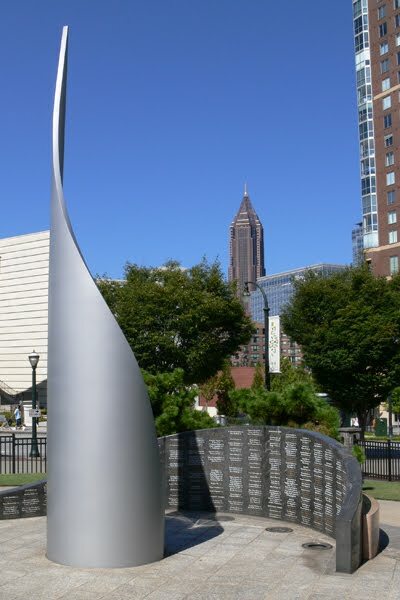 Centennial Olympic Park is a 21-acre expanse commemorating the 100th Anniversary of the modern Olympic Games. 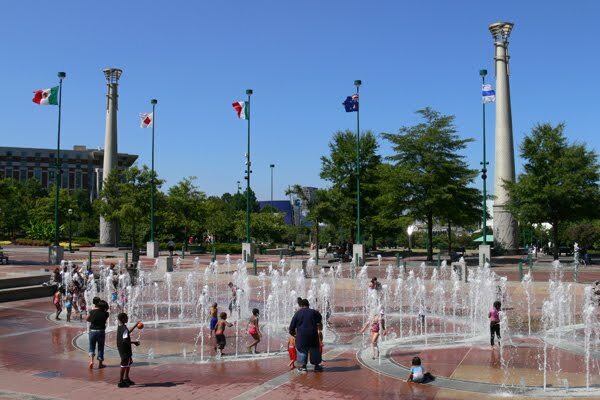 Located in the heart of many of the city's top tourist attractions, the Park offers a calming respite for office workers, as well as concerts, a spectacular 4th of July celebration, holiday lights at the end of the year and the Fountain of Rings—the Park's centerpiece. Surrounding the Park are many popular tourist destinations including Georgia Aquarium, The World of Coca-Cola, CNN Studio Tours and Imagine It! The Children's Museum of Atlanta. With that said, there's a given amount of foot traffic through the Park on the way to these sites. However, the Park is indeed a destination itself. On my approach to the Park, a 40-something year old couple—apparently on a romantic getaway—asked me to make a photograph of them at one of the many Park gates. That to me was a tell-tale sign that I'd made a wise choice in sites to see that day. During my visit, I eventually crisscrossed the Park realizing that I'd missed much of what it has to offer by taking a linear approach during my initial walk through. There were dozens of children playing in the Fountain of Rings, people picnicking on the grassy lawns and others exploring the gardens, statuary and monuments within the Park. 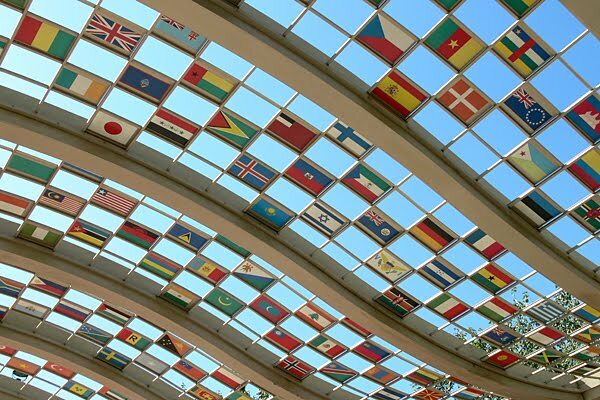 I myself ventured through the gardens on the west side of the Park to explore the various sculptured "quilts" honoring Olympians and the Games. The Paralympic Games is hosted by the same city that hosts the Olympic Games and they're held in the same venues as the Olympic Games. In 1996, I had the pleasure of attending the Opening Ceremonies of those Games and seeing the late Christopher Reeve (Superman, Somewhere in Time), who was paralyzed following a horse riding accident, serve as the Master of Ceremonies. Vice President Al Gore officially opened the ceremony and Liza Minnelli was one of the many live entertainers. 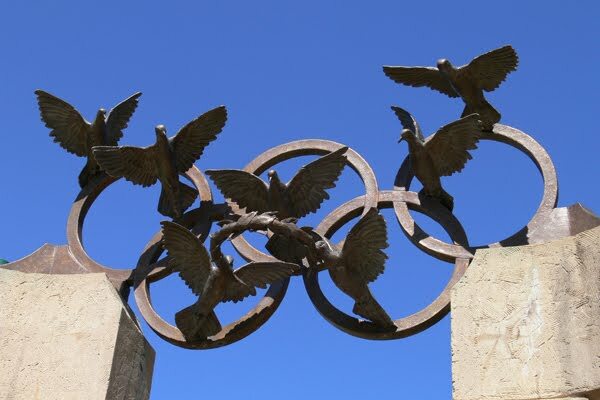 "In honor of the individual and collective achievements—and in honor of the inspiration they have provided for all people with disabilities—the names of the 3310 athletes who participated in the 1996 Paralympic Games are enshrined here. For every obstacle they surmounted, for every second they devoted to their passion for sport, this wall stand as a tribute—a tribute that commemorates the glories they earned on the field of play." Visit Centennial Park again, will I? Most definitely and I'll add it to any visit of the sourrounding tourist destinations…it's that nice of a park. Hours: Daily 7 a.m. - 11 p.m.